Gascony lies deep in the untouched French countryside in an area where time seems to have stood still. Situated in southwest France at the foothills of the Pyrenees Mountains, just east of the French Basque coast, Gascony is awash in sunflower fields, verdant forests, and placid lakes. Gascony’s relaxed and rural lifestyles are aligned with the daily pleasures of food and wine. Here, the rich flavors of the region’s signature foie gras is proudly paired with the craft production of small batch brandy known as Armagnac. 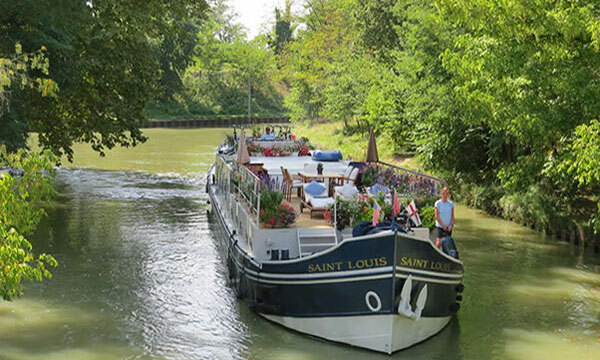 Accessible via Toulouse, Bordeaux, or Agen, barge cruising in Gascony can be easily combined with several days in the adjacent Bordeaux region. Arts and spirits are at the forefront of the region’s sightseeing. Admire the collection of Goya masterpieces in the Fine Arts Museum of Agen. Explore the famous Lily Gardens at Temple sur Lot. Spend a day in St. Emilion, France’s top wine village. 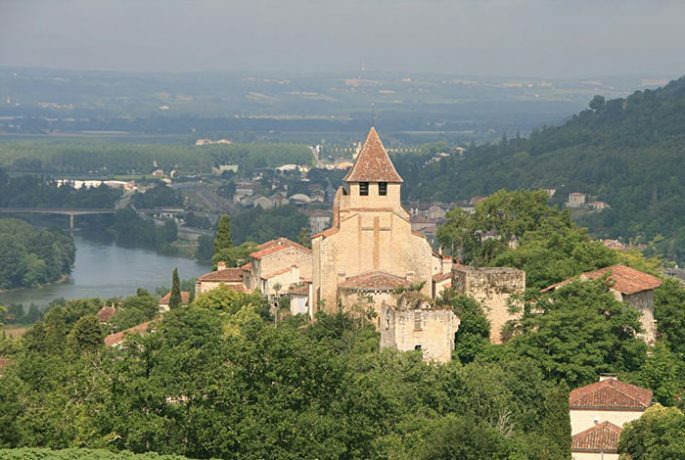 Visit an Armagnac producer situated in a 12th Century Monastery and enjoy a tasting of the region’s signature spirit. Sample the sweet wines found from the vineyards of Sauternes. The Canal de Garonne and the Rivers Garonne and Tarn. The canal skirts the right bank of the Garonne, crosses the river in Agen via the Agen aqueduct, then continues along the left bank. It connects to the Canal du Midi at its source in Toulouse, and emerges at Castets-en-Dorthe on the Garonne, southwest of Bordeaux, a point where the river is navigable. 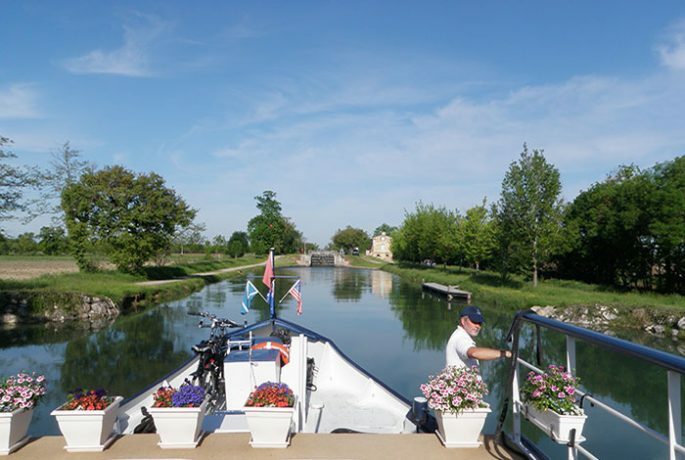 As this is the least populated area of France, beautiful towpaths beckon for leisurely walking and exhilarating cycling. The pursuit of everyday pleasures in culture and cuisine are embraced as a key part of the Gascon lifestyle, extending to the freshest of locally-sourced ingredients and a newly enlivened wine production. Charming villages, idyllic scenery, and gorgeous greenery also abound.